Design influencer, best selling author, and entrepreneur Victoria Smith just launched a collaboration with The Inside—and it's not for minimalists. You may recognize Smith from her wildly popular lifestyle blog SF Girl by Bay, and if you're familiar with her design style, her new eclectic, vintage-inspired line is just what you'd expect of the designer. With 12 unique patterns inspired by Smith's own travels and undeniable love of all things vintage—she already has a vintage shop on her site dubbed Super Marché—the line would fit into any eclectic space or stand out in a more subdued, minimalistic room. "I love a well-curated eclectic blend of new pieces with old," Smith says. "That’s always a lot more interesting than a cookie cutter looks straight out of a catalog," she continues. The three words she uses to describe the line? "Eclectic, textured, and vintage-inspired." According to Smith, it's always been a dream of hers to create a home furnishings collection. "I was hoping for a bohemian vibe but with a modern, fresh twist, pairing colors like indigo blue, pale pinks, and mustard yellow with the intention that they’d look great paired together, building interest through layering the various pieces from the collection," the designer tells MyDomaine. The prints and patterns are also near to Smith's heart, inspired by French ticking stripes, Japanese katazome stencils, and Moroccan textiles. In order to bring her vision to life, Smith collaborated a designer from The Inside. "Together we designed artistic fabrics in prints and a color palette I thought would compliment each other with layering in mind, in the bohemian modern vibe I love," she says. The prints and patterns now adorn pieces of furniture like modern tuxedo chairs, skirted ottomans, wingback headboards, mid-century modern benches, and even removable wallpaper. Of all her pieces, the mid-century bench is her favorite—so much so that she added it to her own bedroom at the foot of the bed. "I styled it with white bed linens, a hand-dyed black crochet throw from Super Marché, a round jute rug and an oversized print of L.A. palm trees by photographer Laure Joliet over the bed," she explains. "I see them as classic pieces to build upon your own personal style, and ones with beautiful patterns to add texture and subtle color, warmth, and interest to your rooms," Smith says. Take the designer's advice and approach styling her pieces with an eclectic combination of styles and patterns. "They’re meant to mix and match, or ‘mismatch’ because I love an unexpected pairing of prints and colors and an interesting contrast," she continues. Take a look at what an eclectic, vintage-inspired home furnishings line looks like below. You won't be disappointed. 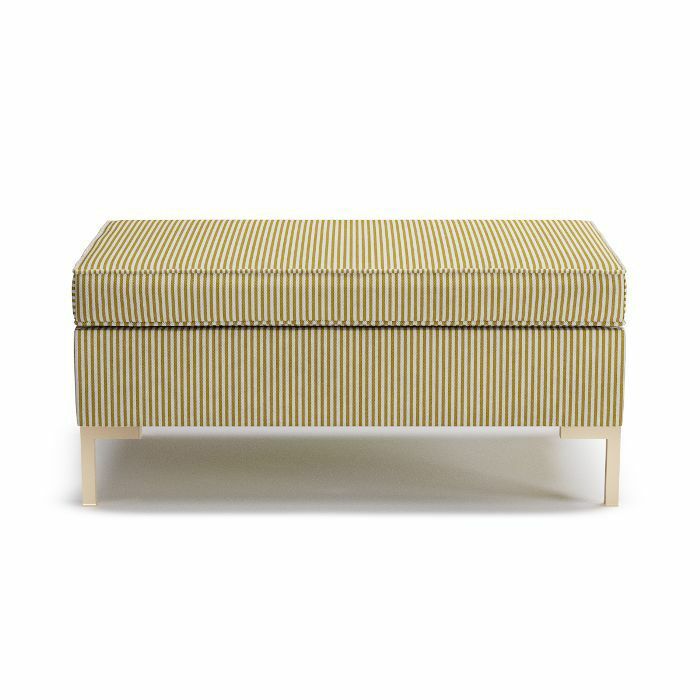 This gold striped bench was inspired by the 1970s and would look luxe in any bedroom. 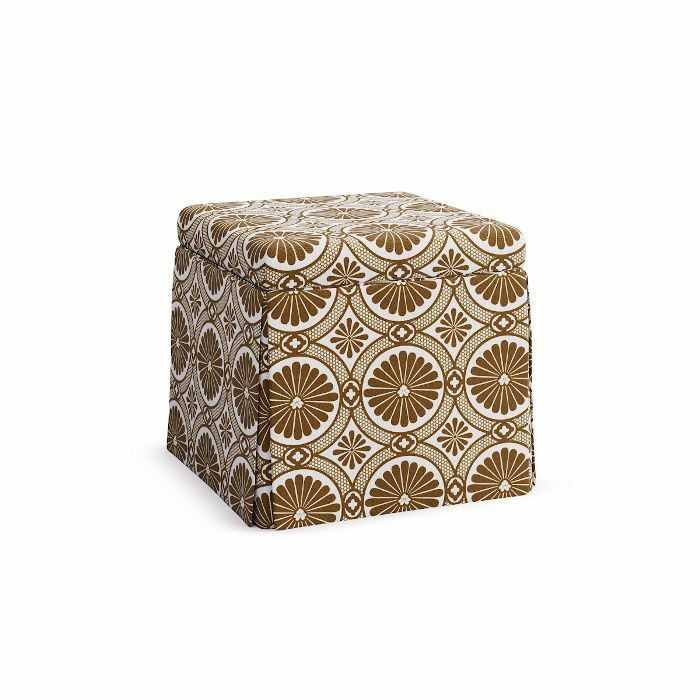 Perfect for small spaces, this patterned ottoman also features hidden storage to help you stay organized and eliminate clutter. 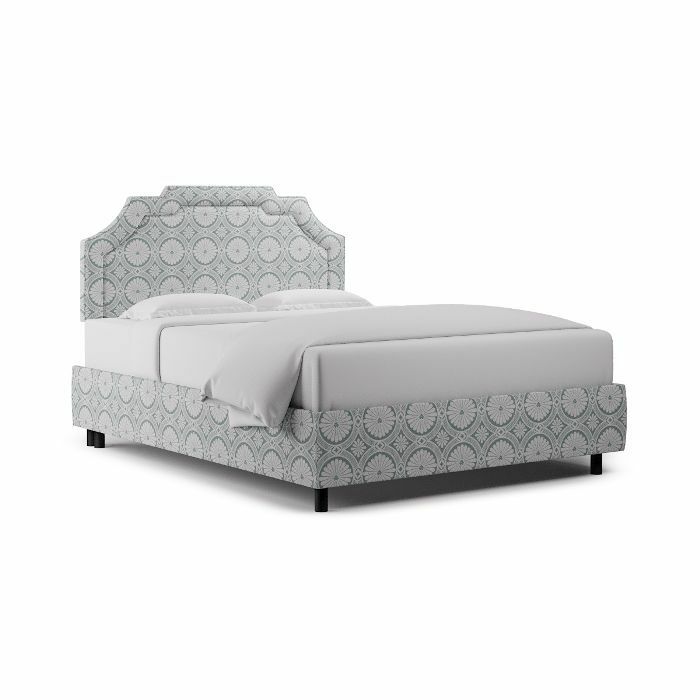 If you're a fan of art deco, you need this headboard in your life. The pattern is elegant and the design is utterly sophisticated. 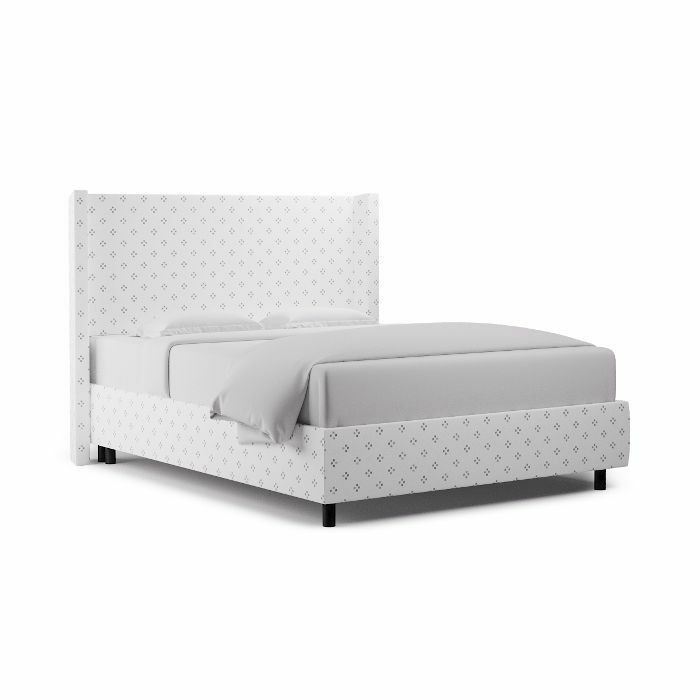 For a subtler modern look, go for this wingback bed in Smith's Grey Faro print. It's a classic look that will make getting into bed feel even more luxurious. 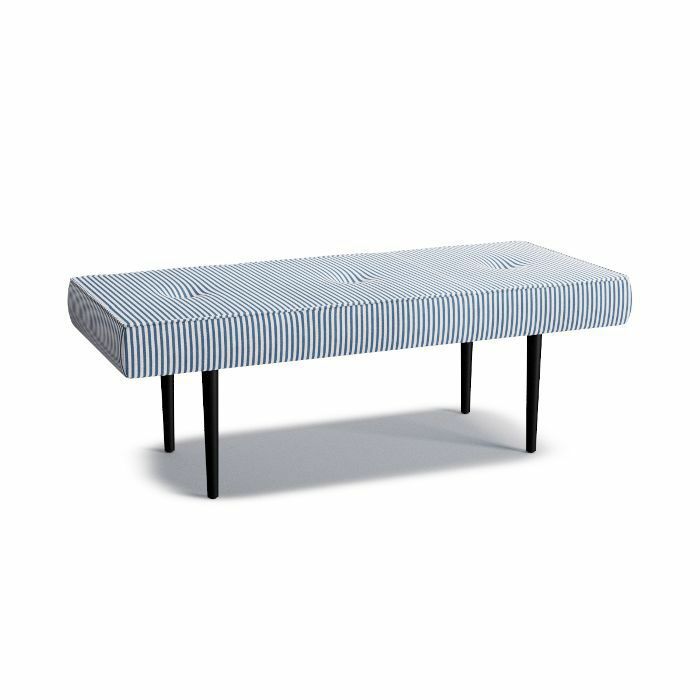 More minimal than some of Smith's other prints, this simplistic blue and white striped mid-century bench is timeless and can work with a variety of other designs and colors. 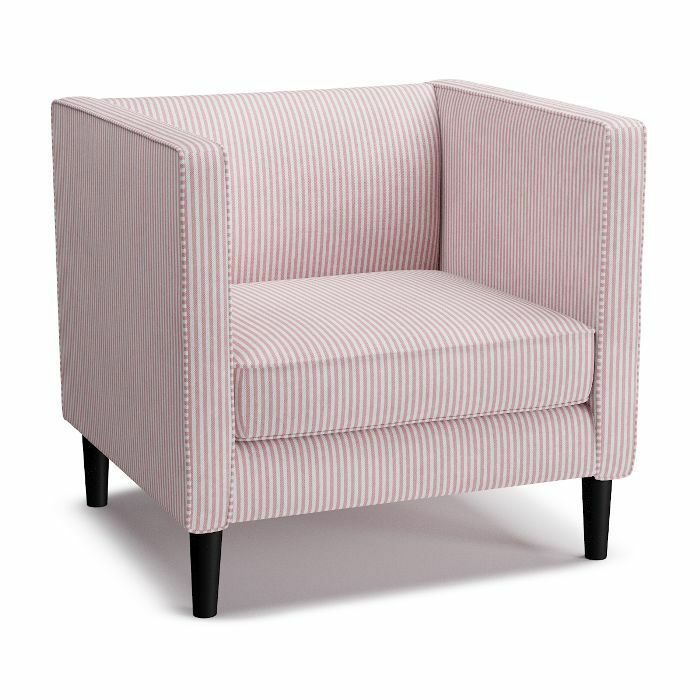 This pink and white tuxedo chair is a fun way to bring a pop of color into an otherwise traditional space. The design of the chair is modern and sleek while the color is delightfully playful. 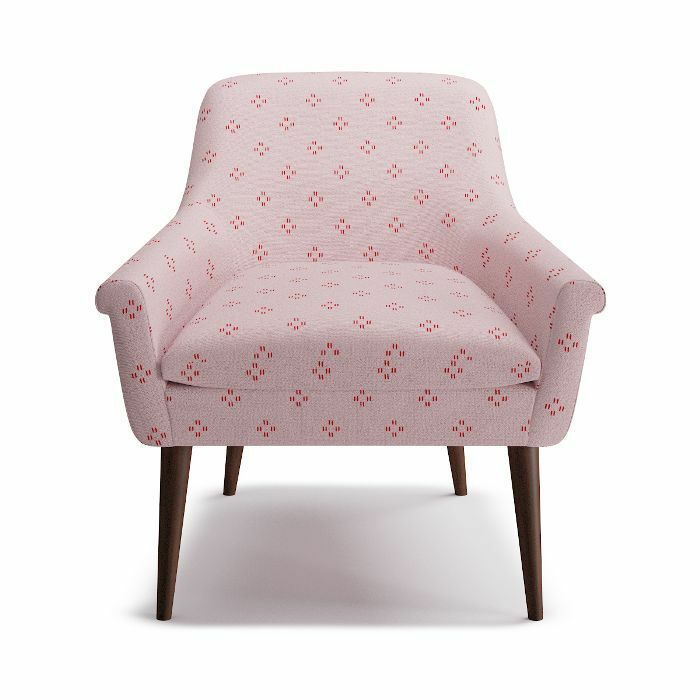 Elegant with a vintage feel, this cocktail armchair is the perfect accent piece for the living room or bedroom. 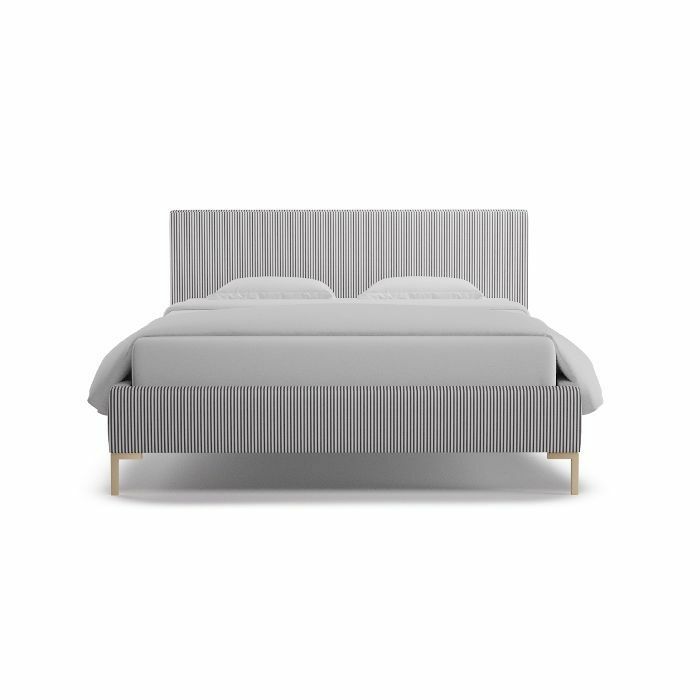 One of the more minimal-friendly pieces in Smith's collaborative line with The Inside, this bed features a muted color palette and a simple stripe design. 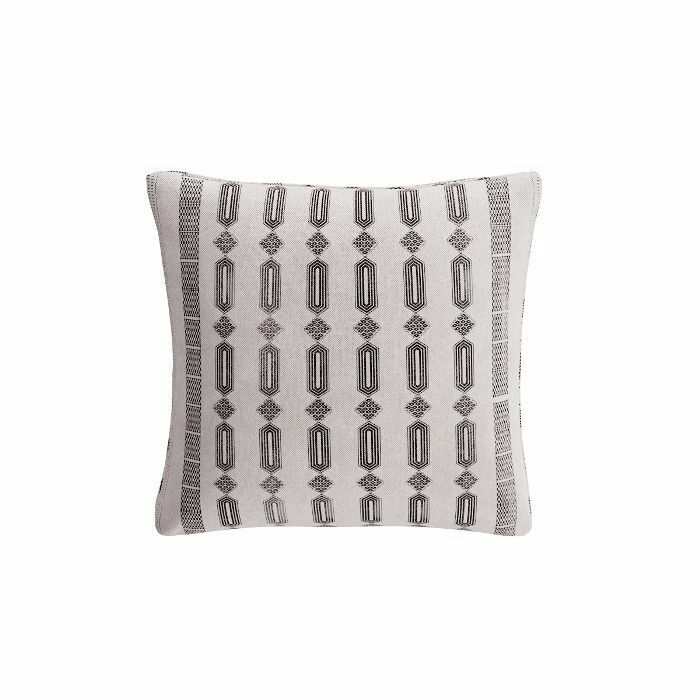 You can always count on a new throw pillow to spruce up any space. This piece features Smith's Tusk Doro print for a completely unique look. 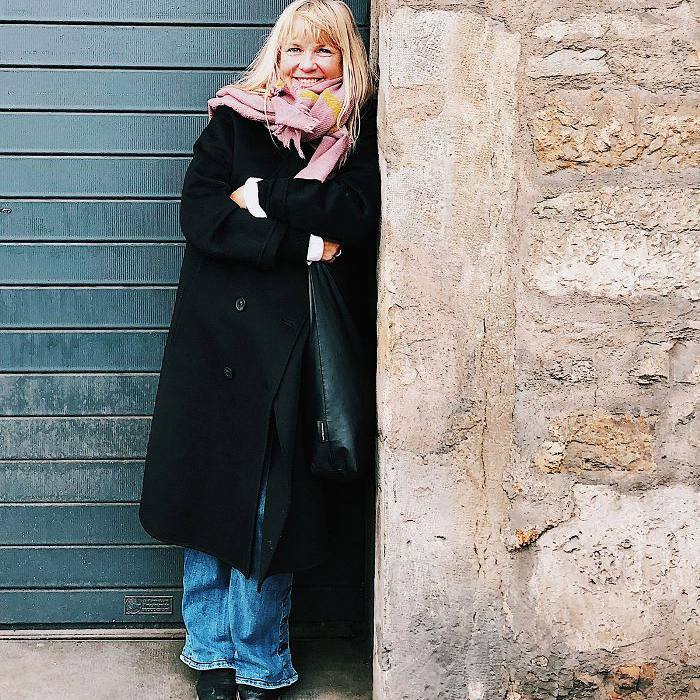 Next up: Anthropologie's latest collab is the cool grandma trend we can't get enough of.